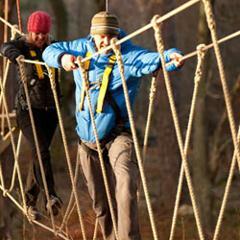 Zip wires, balance beams, hanging platforms, tight-ropes, scramble nets, white knuckle bridges and gap jumps are set in the awesome Loch Lomond & Trossachs National Park. 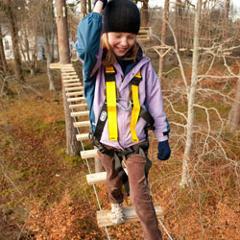 TreeZone is an unforgettable high ropes activity for adventurers at least 7 years old and 1.1m tall. With a short course, The TreeCreeper, for the under 10s that everybody starts on, the wee ones then get to repeat that course again. 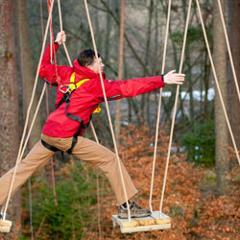 For the older, bolder adventurers, they then move on to the Buzzard Course for more of a challenge, higher in the trees. 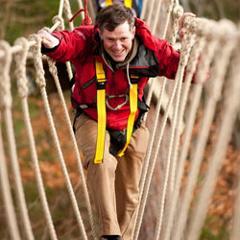 Ideal for adults and kids, groups, families and corporate events. 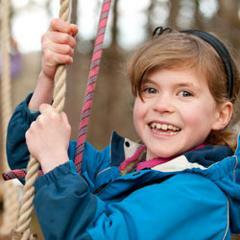 Get a squirrel's-eye view of the awe-inspiring Loch Lomond and Ben Lomond while you swing high in the trees tackling a host of TreeZone challenges. We're very proud to be opening our doors in Scotland's first National Park, and we're keen to give something back to this awesome place. We have therefore included an optional £1.00 donation to our our ticket booking process. If you don't feel that you want to donate, simply make sure the quantity is set to '0' when you are given the option. 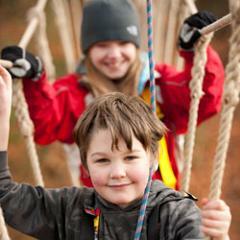 If proceeding to book your place at Treezone and your group does not include any 'Adult' tickets, please ensure that you change the default '1' Adult to '0' to avoid being charged for an extra place.